History: I have always had a passion for food that started very early in my life. It was part of my cultural upbringing. Waking up at five in the morning along with my parents, brothers and sister to make bread and pizza in our wood fire oven, or to make Napolitano sauce, was nothing out of the ordinary. My parents Margherita and Ettore, did imprint into their belief system that the freshest foods came from their home grown vegetable garden. Whatever was in season was planted and grown, including all kinds of herbs and lettuces, spinach, broccoli, cucumbers, zucchini and their flowers- considered an expensive delicacy in today’s fruit markets and restaurants. Tomatoes were planted to make the tomato puree used in “sugo” an Italian tomato sauce and inevitably, there were always a few orange and lemon trees dotted about the small parcel of land. This is where I learnt about the most important thing in cooking; that the quality and goodness of food comes from the freshness of its ingredients! 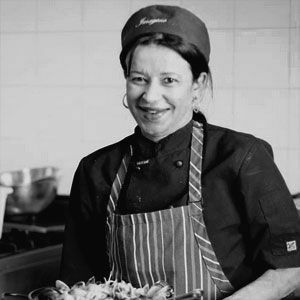 Throughout my years of cooking in restaurants, I have worked my way from a great cook to an excellent head chef, one who has passion and love for my profession. 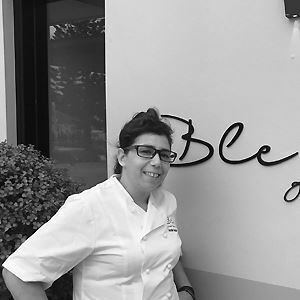 In an industry which has been male dominated, I became Gibraltar’s first woman head chef - Gibraltar is an English colony on the south coast of Spain. 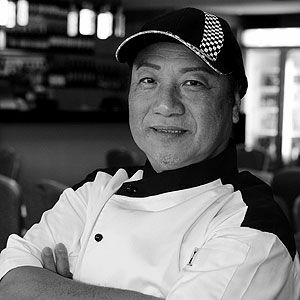 On my return to Australia, I worked as a chef at ‘The Panorama’ Restaurant in Mount Ousley and then an opportunity presented itself at The Lagoon Seafood Restaurant in Wollongong where I became head chef. 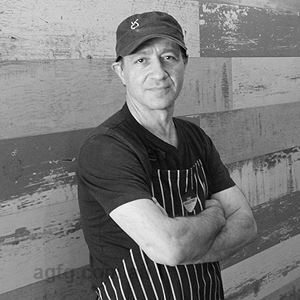 The experience gained there would provide me with the resources to be able to venture out and open my own restaurant, the successful family run Imagine Restaurant. Yes, I have a passion for cooking and pleasing customers. My idea about food is that all good food is to be consumed around a table, amongst those we love and care about. Food is a companion to smiles, laughter and good conversation. This is my goal. To share with you what we love and enjoy most about life. My style of cooking is Mediterranean with an Italian touch. The delicious food evokes a sense of warmth, yumminess and closeness . The dishes are creative and pleasing to one’s sense of smell, sight, touch and taste. Each dish carries a unique note, a scent. Jaime Oliver and Margaret Fulton. Pleasing my customers and seeing them return to my restaurant.